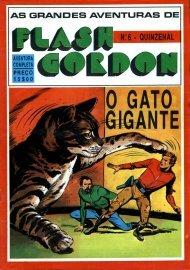 The magazine "Grandes Aventuras de Flash Gordon" is published by Portugal press in 1979. Our hero is published in issue 6 (1-3-1979) of the magazine. In this number the pages 1875-1891 are printed.